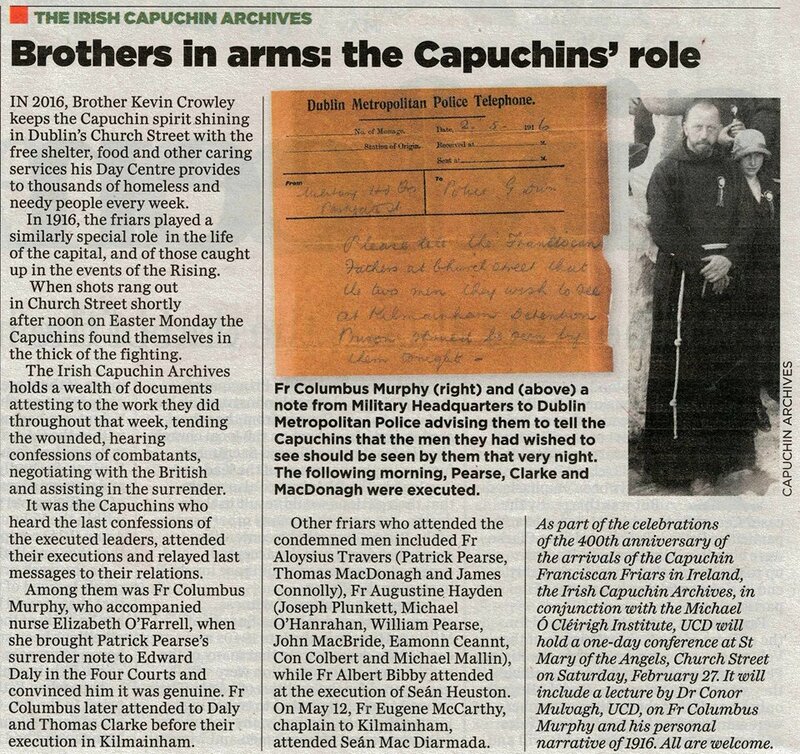 A wonderful reminder this morning in the Irish Independent Newspaper supplement of the pastoral work of of the brothers during the 1916 Rising and on into today! Our heritage conference celebrating 400 years of Irish Capuchin Franciscan Service, including talks on the role of the Capuchins in 1916, will take place in Church St friary on Sat. Feb 27th beginning at 10:30.